Get off your small business island, and finally find the elusive ‘scaling’ secret? Date nights with your husband? Long lunches with your daughter? Weekend trips with your girlfriends? Before you give me your right arm, let me assure you… The profitable product-based business you’re searching for can be yours WITHOUT that much sacrifice. You don’t have to live in anxiety, watching from afar as everyone scales without you and listens to sales ring in while they’re on a road trip with their family. Businesses grow and evolve constantly! So it’s not your fault that your business model isn’t working any more. It will only be your fault if you don’t fix it. I grew my corporate gift hamper service into a nationally recognised, million dollar business. I went from landing a $30,000 order and wrapping every package by hand myself to a company with annual sales of $1.5M per year. Because of the rapid growth, I was forced to develop systems and procedures to manage my sales and marketing and leveraged heavily on outsourcing to keep up with the demands. So if anyone knows about scaling product-based businesses, it’s me. That’s why I created Thrive Products Business Mentorship. Imagine a place where passionate, powerful, and inspirational business owners collaborate, share wins, ask questions, and grow together. Imagine a place where your deepest business fears are validated and everyone else nods along as you disclose that you wonder if you were a “one hit wonder”. Imagine a place where everyone shares their tips and tricks on dealing with being a wife and a mother while running a multi-figure business. That place is Thrive Products Business Mentorship. In a nutshell, this is an exclusive community of product-based business owners who help support each other. I founded it because I’ve already helped hundreds of students discover how they can rapidly build a thriving product driven business to six and seven figure businesses… but I wanted to reach MORE wonderful entrepreneurs. I’ve been around long enough to know that there are lots of shiny groups and memberships trying to catch your attention right about now. You feel like you need to get off the hamster wheel or struggle bus… YESTERDAY. You’re ready to put the work in to scale your product-based business. You fight loneliness as you type away at your laptop day-in and day-out. You know you would benefit from business coaching, but you haven’t known where to start. You lay awake at night worrying about the toll your business is taking on you, your finances, and your relationships. Here’s the thing.. I take great pride in maintaining this community and it is active daily. I know the online world evolves constantly, so I keep myself up to date with the latest and most effective sales and marketing techniques regularly. Plus, I even head to live training conferences so that I can share what I’ve learned with you! Thrive Products Business Mentorship is essentially personal coaching to improve your sales confidence and conversion skills so that you can better sell your products. On top of that, it provides an invaluable community ready to support you along your journey. Private, one-on-one coaching online with Sarah Cross, so you can get customized solutions tailored to your current business situation. Harness the collective brainpower of a members only like-minded community of creative product based owners to help guide and support you on your way to growing your business. Get instant access to digital training materials that cover different aspects of running a product driven business in the form of videos, PDF documents and audio files. Join monthly industry expert group live training calls. Get access to local, face-to-face meetups (if one is available in your country). What’s holding you back? Am I speaking your language? Has your heart been beating a little faster? There comes a point when you owe it to yourself, your business, and your family to invest. No one can survive on an island -- least of all a business owner. We need support, coaching, and sounding boards in our lives. 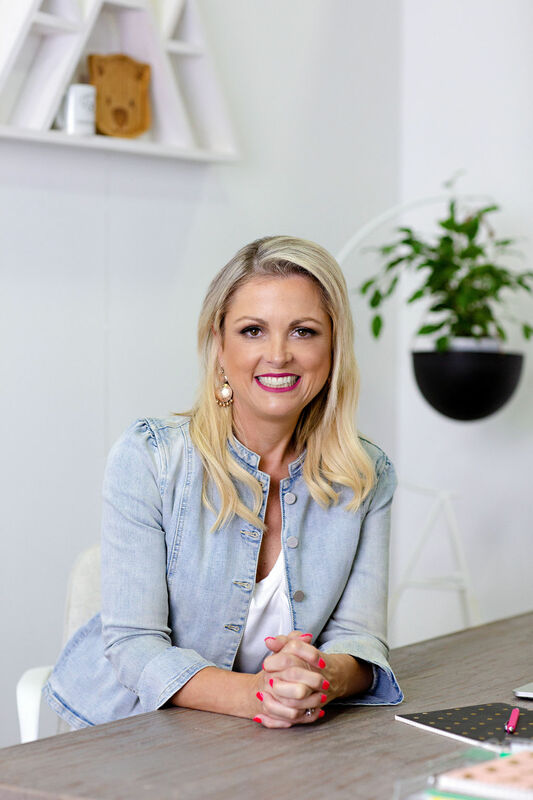 As the Director of Cross Success Coaching, my global focus is based on running workshops, coaching programs and world wide retreats for product industry business women to help transform their businesses and accelerate their financial success. I’ve helped hundreds of women, and you can be next. Are you ready to ditch fear and excuses? Are you ready to operate on a proven plan? Are you ready to exude confidence at your next sales meeting? Do you have a syllabus I can review? No. This isn’t a traditional course, so you don't need a syllabus to make a decision. You simply need to believe that success in the product-based world is possible for you. Will this work for me if I'm in another mastermind or group program? Sure! Every business owner needs support in all different areas. I am in x masterminds, one group coaching program, and work with 1:1 coaches from time to time. Will I learn to build a team in Thrive Product Business Program? Yes. You’ll learn whatever you want. With a community packed full of entrepreneurs, someone is sur to have gone through what you’re going through right now. Can you help me get my pricing right? Absolutely. That’s one of the first things we’ll tackle as part of increasing your confidence and cash flow. So, reader, here’s the thing. You can keep doing what you’re doing. You can keep slaving away at your laptop, stealing moments from family time to answer emails, and secretly scowling when you see pictures of other business owners at the beach. Or you can do something different and join an elite group of high performers who are committed to adding value to their community. Join Thrive Products Business Mentorship! Pay in Full USD $1197/ year or Payment Plan 12 x USD $116/ month. Payment plan membership expires after 365 days. I can't wait to see you in the mentorship! 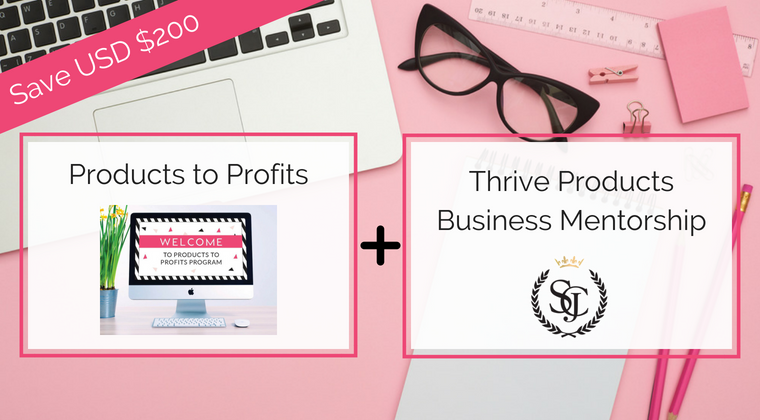 Get access to my two signature programs, Products to Profits - 4 Step Marketing System + Thrive Products Business Mentorship - 12 months access to one on one and group support plus more!